[DriveThruReview] #290: "What Does the Fox Play?" Board Game Brawl Review - Linko! 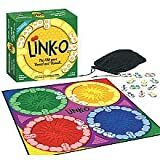 Dad vs Daughter - Linko!